Watch Wolves vs Leicester on Saturday, live on Sky Sports Premier League from 11.30am. For the second January in a row Harvey Barnes has been recalled by Leicester from a Sky Bet Championship loan spell. Barnes had scored five times for a struggling Barnsley side in the Championship in 2017/18 before returning to Leicester in the middle of last season. He was recalled on January 1, but was then used sparingly by Puel in the second half of the season. In fact, he did not appear in the Premier League until mid-April, and his three appearances thereafter all came as a substitute after the 85th minute. Despite bringing him back to the King Power Stadium, Puel clearly didn't think that Barnes, then 20, was ready for the rigours of the top flight. It led to Barnes leaving to seek first-team football again this campaign as he went to relegated West Brom in a bid to help them to return to the Premier League. In fact, his impact was so immediate and significant that there has been talk of a Leicester recall since mid-September. 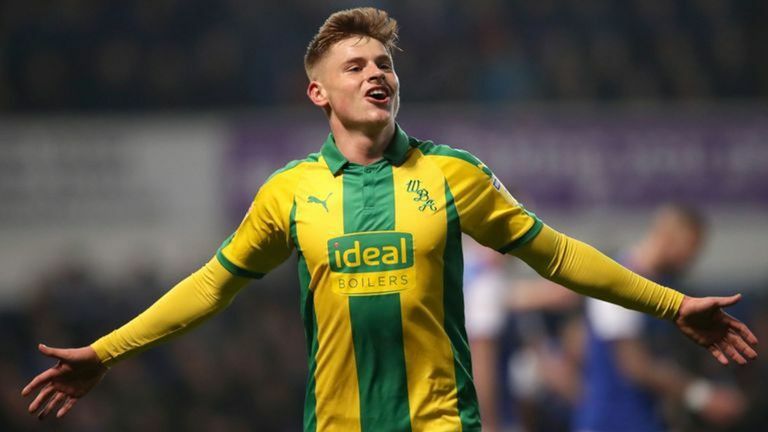 West Brom were the top scorers in the Championship during Barnes' 26-game spell there, scoring 54 times, with the winger playing a pivotal role in their attacking play. Of those 54 goals Barnes was directly involved in 15 himself (nine goals, six assists), which was more than anyone else for Darren Moore's side. He also took more shots (88) than anyone else in the Championship, and created the most 'big chances' (10), which also happened to be the most in the division. One of the main reasons Puel may not have felt the need to utilise Barnes last season was that they still had Riyad Mahrez at their disposal. The Algerian's summer departure to Manchester City, however, has left a void in their squad that Puel has struggled to fill. Leicester's three main wide options, Marc Albrighton, Demarai Gray and Rachid Ghezzal, have all largely failed to produce. Between them, they have just five Premier League goals and three assists. They have all, in total, created just 43 chances in 54 combined appearances, only four more than Barnes managed in 26 Championship games on his own. In terms of 'big chances', Ghezzal has made three, Albrighton four and Gray zero. Even when you take into account the difference between divisions, there has still been a stark division in creativity between Barnes' output and Leicester's current main wide options. "A situation where a player should reasonably be expected to score, usually in a one on one scenario or from very close range when the ball has a clear path to goal and there is low to moderate pressure on the shooter. Penalties are always considered big chances." "He has been brought back for many reasons but the primary reason is because he can help us," said Puel after he was recalled. "The player has progressed, and I would like to thank West Bromwich and their manager for giving him the opportunities to play. "It is difficult [for West Brom] to lose a player like this but it is a good moment for him to come back and help his team- mates. He is a clinical player and can push and penetrate in behind. He can keep a good calm to finish and I appreciate his qualities." Puel signalled his intent to use Barnes by throwing him on in the second half of their defeat to Southampton last Saturday, using him in a similar left-wing role to the one he played at West Brom. He showed his desire to get involved during the 45-minute cameo, making 23 passes, having three shots, creating one chance, attempting five dribbles and having a total of 38 touches, seven of which were in the opposition box. Will he get his chance? Puel clearly stated he believes Barnes has progressed and there is no doubt he was one of the stars of the Championship in the first half of the season. Leicester head to Wolves on Saturday, live on Sky Sports Premier League, and Barnes will hope to be given the platform to display his talents again, particularly with the European U21 Championship on the horizon this summer. Barnes won a first call-up to Aidy Boothroyd's side in October and he is desperate to go to the tournament alongside James Maddison - another player who has made positive strides at Leicester after jumping up from the Championship in the summer. "[The Euros] is something in the back of my mind that would be nice to achieve," he said. "I can only achieve that by putting in the performances here, so they work hand in hand, but it is nice to get that recognition on the international level as well. "It is obviously a big confidence boost coming here and hearing that he rates me, knowing he has belief in me, to give me an opportunity like he did against Southampton, and I need to believe in myself as well." In terms of in-form wide options there is not a huge amount standing in the way of Barnes at Leicester, it will just depend on whether Puel is willing to give him a real opportunity to get used to the higher level and carve himself out a spot in the side.